Google partners with VMware today announced that they are working together to make it easier for Chromebook users in the enterprise to access Windows apps and the Windows desktop on their machines. Using VMware’s Horizon desktop as a service (DaaS), which uses VMware‘s HTML5 Blast protocol, it will now be easier for Chromebook users to connect to a traditional Windows experience. It means you can work with Chromebooks and connect to a Windows experience running the VMware Horizon View. As the countdown to Windows XP end of life continues, deploying Chromebooks and taking advantage of a DaaS environment ensures that security vulnerabilities, application compatibility and migration budgets will be a thing of the past. By Using VMware’s Horizon Chromebook-optimized DaaS, Google says, enables “customers to centralize other desktop environments and manage these as a cloud service.” Right now, this service is only obtainable as a fully managed, subscription-based offering from VMware and its partners, both in the cloud and within hybrid deployments. VMware Horizon View 5.3 works on Chromebooks now as an on-premise service. The technology will also be accessible “soon” as an application that can be installed from the Google Chrome Web Store, but regrettably Google wouldn’t offer a specific date. 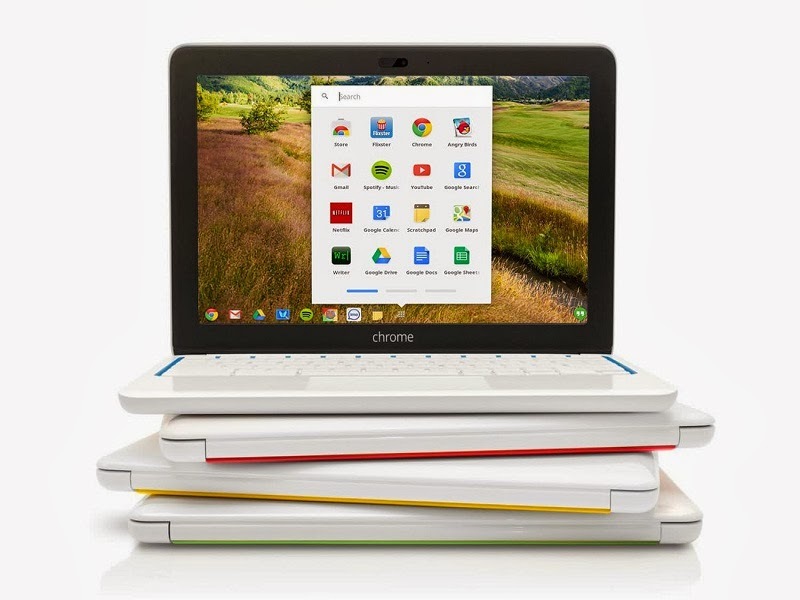 As the PC market shrinks and Chromebooks become more widely used, solutions like this will make the Chromebook smart to a segment that is holding onto tradition: enterprise. Though it’s still Windows as a back-end solution, businesses can now operate Chromebooks for their employees, accessing everything via VMWare.